Just south of Mason, Texas, in the spring of 2010, bluebonnets and other wildflowers grew in abundance. 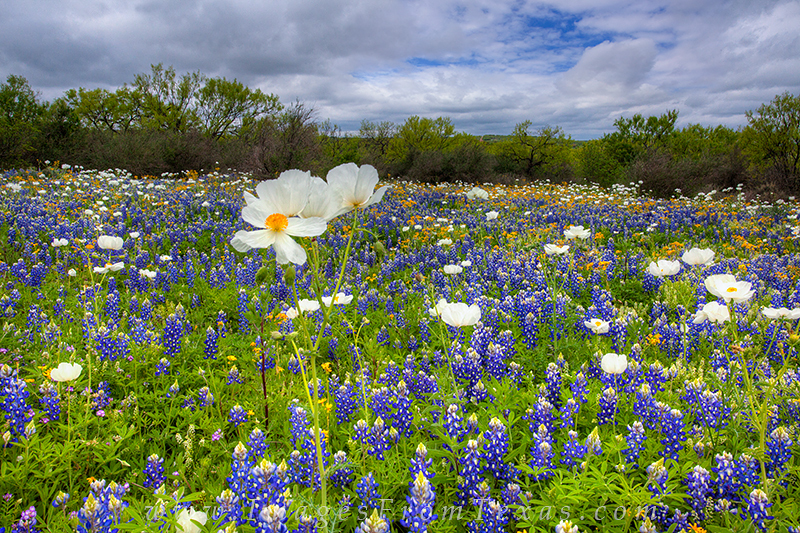 Here, bluebonnet share a field with white prickly poppies and other assorted colorful blooms on a spring morning. Photo © copyright by Rob Greebon.